Our friends across the pond have compiled a list of 185 detailed turning projects you may want to check out. Here's the full list with their categorization. As of January 2019, these were all publicly available links. 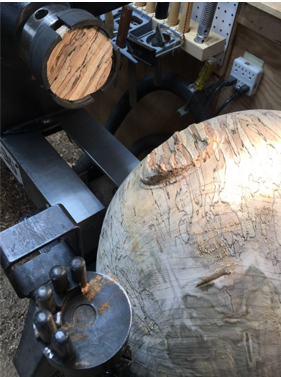 The April 11, 2019 meeting of the Woodturners Guild of North Carolina will offer two opportunities for hands-on participation from our membership. The meeting will open at 6:45 pm with our annual "Tip, Tricks and Jigs" presentation. Do you have or do something unique that you want to share with others? Maybe it is a special tool or tip that makes things a bit easier, or a technique for handling wood. Members are encouraged to present anything that relates to turning that may help others to be better turners. Then after a short break, and in response to membership requests for a more in-depth gallery discussion, we will commence with "Show and Tell your Challenge". New from Glenn Lucas "Mastering Woodturning Series: No. 6 The Beaded Bowl"